An updated version of the NFS Attack Indoor Low. Almost Identical with NFS Vendetta Low. 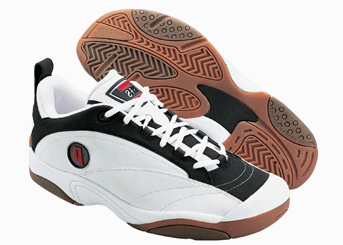 A classic indoor court shoe for the avid player. The lightweight EVA midsole and sockliner keep you light on your feet and quick to the ball. This shoe is slightly heavier than the NFS Indoor II, but it is considerably more durable. Comes in average, D, width.